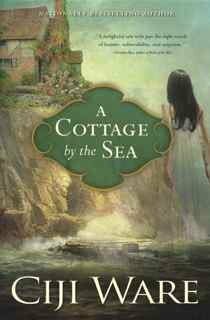 A remote cottage on the wild coast of Cornwall sounded to Blythe Barton Stowe like the perfect escape from the pain and humiliation of recent events in her Hollywood life. But soon she seems to be reliving a centuries-old tragedy, and the handsome owner of the shabby manor house on the hill appears vitally entwined in her destiny. As they unearth one shocking family secret after another, Blythe is forced to conclude that her intriguing neighbor is more than just an impecunious British gentleman bent on saving his ancestral home. And the impeccably honorable Lucas Teague begins to see Blythe as a lifeline in an otherwise bleak existence. But is the unbridled attraction they’re experiencing a dangerous distraction, or could it be strong enough to transcend the insurmountable complexities of time and place…?"